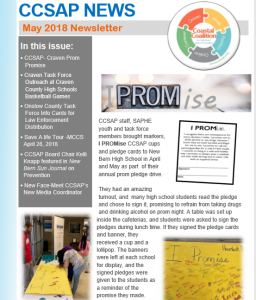 Click on link below to read CCSAP’s May 2018 Newsletter! 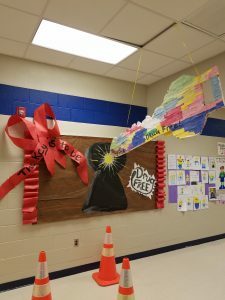 CCSAP partnered with Community Prevention Services Inc in Onslow County to help with their annual Red Ribbon Banner Contest judging with Onslow County Schools. 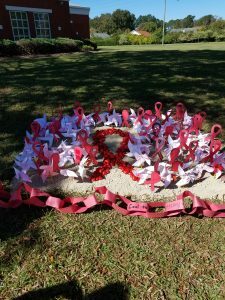 This annual event, which occurs every October 23-31, helps local school children learn about Red Ribbon Week and it’s importance in relation to staying drug free. Local students in grades K-12 design banners with an anti-drug message. The banners are then displayed in their schools during red ribbon week for all students to see. Community Prevention Services uses local individuals and CCSAP members to assist with the judging of the entries, which takes place over a two day period. The winners then receive trophies at the December Board of Education meeting and the trophy presentation is broadcast on the local G-10 television channel. This is a very popular event in the Onslow County area and the local students take great pride in submitting their work. The winning categories include Best Overall, Most Creative, Most Original and there is even a category for Most Red Ribbon School Spirited, which recognizes the school that demonstrates the most Red Ribbon Campaign awareness through events held at their school. Kelli Knapp, CCSAP Board Chair, recognizes the significance of the event and stated she would like to see other counties adopt this contest. 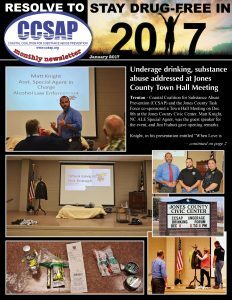 “It is a great way to get our youth involved in substance abuse prevention, by letting them participate in something fun, but with a positive message”, stated Knapp.